You won’t be replacing batteries on most Bluetooth wireless keyboards on iPad cases, but you will have to plug it into a computer or power supply at some point. 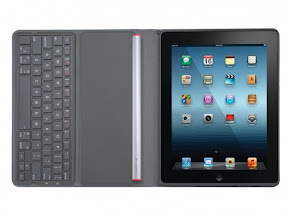 Not unless you have Logitech’s newest iPad keyboard case, the Solar Keyboard Folio. It uses light to maintain its battery charge. Logitech indicates that it will last two years on a complete charge. Two small solar panels integrated into the Folio use either indoor or outdoor light to keep the Bluetooth keyboard juiced up. The solar cells are on the outside of the cover, so they’re not in your way when using the wireless keyboard. When using the folio to prop up an iPad at one of two angles, the cells face outward to capture any available light. The bottom keyboard row of the Solar Keyboard Folio works as dedicated music and volume control keys when used in a specific angle for media consumption. Logitech is taking pre-orders now for the $129.99 setup, which isn’t too bad when you factor in the convenience of never having to charge the batteries for it. 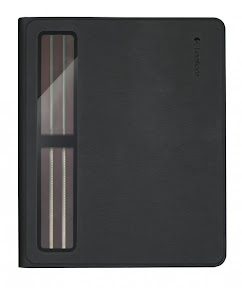 The product works with either the iPad 2 or the new iPad and features the same instant off/on as Apple’s own iPad cover. The two-year battery life claim is based on two hours of daily use, so if you’re an all-day typer on the iPad, you’ll surely see the battery run down faster. Share this post and/or site with someone you know whom has an IPad or iPhone.